"This is Camden, where everyone has a story…" Netflix has finally unveiled an official trailer for an indie romantic musical titled Been So Long, which is premiering at the London Film Festival this month before arriving on Netflix. This honestly looks like the first great movie musical since La La Land, and I've got a really good feeling it's going to be wonderful. 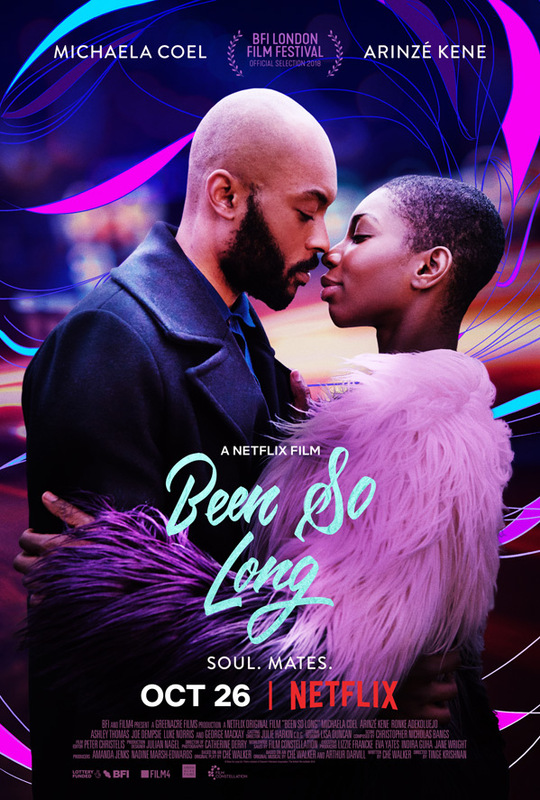 Been So Long stars Michaela Coel as Simone, a dedicated single mother who, on an unusual night out on the town, is charmed by a handsome yet troubled stranger named Raymond, played by Arinzé Kene. Also starring George MacKay, Joe Dempsie, Luke Norris, Arsher Ali, Tom Forbes, Ashley Thomas, and Rakie Ayola. This isn't the greatest trailer, but there's still something about this that feels magical. As a fan of musicals myself, I can't wait to see this. Take a peek. Romance, rage and revenge. Tinge Krishnan's Been So Long is a neon soaked, modern day romance set on the streets of London's Camden Town. We follow Simone (Michaela Coel), a dedicated single mother who, on a rare night on the town is charmed by a handsome yet troubled stranger, Raymond (Arinze Kene); igniting old and new feelings. Set against the backdrop of an ever-changing city, Been So Long is a musical with a fresh take on love, life and moving on. Been So Long is directed by British filmmaker Tinge Krishnan, of the feature film Junkhearts, episodes of the TV series "Dimensions", plus a few short films previously. The screenplay is written by Che Walker. Netflix will release Krishnan's Been So Long streaming exclusively starting October 26th this month after premiering at the London Film Festival. Your thoughts?